At the end of 2017, with the first trilateral dialogue between the foreign ministers of China, Pakistan and Afghanistan held in Beijing, Afghanistan, which is located in the north wing of the corridor, will join the flagship project. The China-Pakistan Economic Corridor (CPEC) is a flagship project of the Belt and Road Initiative. Starting from Kashgar, Xinjiang of China, the corridor goes directly to Gwadar Port in Pakistan and will provide a shortcut for China to the Indian Ocean and its surrounds. Since its full launch in April 2015, the project is making progress and has attracted the interest of many countries in Central and Western Asia. At the end of 2017, with the first trilateral dialogue between the foreign ministers of China, Pakistan and Afghanistan held in Beijing, Afghanistan, which is located in the north wing of the corridor, will join the flagship project. It is generally believed that if the project moves ahead smoothly, it will bring about historic opportunities for economic and social development in Afghanistan and provide an important path for addressing issues of regional poverty, security and stability. Suffering from war and turmoil over the past 40 years, Afghanistan is still plagued by problems such as armed conflicts, terrorism, and drug abuse. It is one of the least developed countries in the world. According to statistics previously released by the Ministry of Economic Affairs of Afghanistan, 39% of Afghani people live below the poverty line, and 23% of Afghans are unemployed. Poverty and unemployment have become major causes of rising crime rates in Afghanistan and are also an important source of high security risks. In the past month, there have been several bomb attacks in Afghanistan that have killed more than 30 people. Improving infrastructure, expanding employment, and improving people’s livelihood have become priorities for the country. China and Afghanistan are close neighbors with a long history of friendly exchanges and communications. China supports Afghanistan in safeguarding its national independence, sovereignty, and territorial integrity, and in seeking a development path suited to its own conditions and the will of its people. Since 2002, China has provided a large number of grants to Afghanistan, including many major projects such as the Kabul Republic Hospital, the National Science and Technology Education Center, the Parwan Water Conservancy Project, and low-cost housing in Kabul. In order to promote Afghanistan’s economic cooperation in the region, China and Afghanistan have signed a memorandum of understanding on the Belt and Road initiative, recognizing Afghanistan as an important cooperation partner. On October 13, 2017, Afghanistan officially gained membership of the Asian Investment Bank. On December 26, Chinese Foreign Minister Wang Yi stated in Beijing that China will actively explore the extension of the China-Pakistan Economic Corridor to Afghanistan in an appropriate manner. On March 27 this year, Vice Foreign Minister Li Baodong said at the high-level meeting in Tashkent on Afghanistan that China will place Afghanistan in a priority position and increase support for the country to promote regional stability and prosperity. Afghanistan is located at the core of Central Asia. Restrained by geographical obstructions, a harsh environment, complex social conditions, and endless wars, it does not have the ability to independently develop a modern industrial and agricultural economy. With the withdrawal of the main forces of the United States, it receives less and less support from the West. The Afghan government faces great challenges with the Taliban and other anti-government forces growing stronger. There is an old saying in Chinese that a distant relative is not as helpful as a close neighbor. Seeking help from neighboring countries is the Afghan government’s preferred choice. There is plenty of room for cooperation between China and Afghanistan because China has financial and technological strengths and shares stable relations with Afghanistan. Also Afghanistan has a huge need for infrastructure and industrial and mining development. As China’s One Belt and One Road Initiative covers central and west Asia, Afghanistan is eager to join in this great opportunity. However, taking account of Afghanistan’s problems of rampant violence and terrorism, national separatists, and religious extremists that could infiltrate southern China’s borders, and the high security risks of investments, China is very cautious about opening the Wakhan Corridor on the China-Arab border. Under such circumstances, extending northward from the south China-Pakistan Economic Corridor is a good strategy for cooperation with Afghanistan. After many multilateral and bilateral communications, China, Afghanistan and Pakistan reached consensus on this option. First, Afghanistan has an urgent desire to develop its economy and improve standards of living. Afghanistan has no access to the sea. Improving its relations with neighboring Pakistan, opting to join the recent China-Pakistan Economic Corridor and linking its development strategy with the Belt and Road Initiative is a shortcut to achieving these aims. Second, the China-Pakistan economic corridor provides a good model. In the past four years, it has started to produce results. 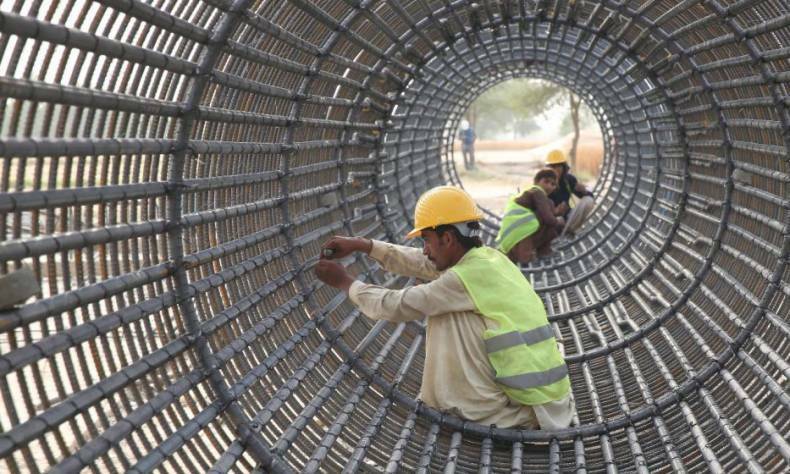 Pakistan’s GDP has grown at an unprecedented rate, and infrastructure and living standards along the route have substantially improved. This has provided an important opportunity for promoting regional interconnection. Third, helping Afghanistan to develop is in conformity with China’s determination to be a responsible major country and the policy of building good neighborhood. In recent years, China has helped Afghanistan to establish a coordination and security governance mechanism and actively participated in the reconstruction of the Afghan economy, which has provided the country with tangible benefits. At the same time, it has actively sought to narrow the differences between the two countries and expand common ground, thus reaching a consensus on extending the China-Pakistan Economic Corridor. With the extension of CPEC to Afghanistan, Afghanistan is expected to become a main beneficiary of this project, and the connectivity between regions will help. It is good for regional security and stability and social development. First, Afghanistan will accelerate its participation in regional cooperation and conduct commercial activities through the Indian Ocean. The chairman of the Gwadar Port Authority, Dostain, stressed that “Gwadar will become the hub for connecting outside Afghanistan and Central Asia”. Pakistan also promised to build a 265-kilometer Peshawar-Kabul highway to connect Afghanistan with CPEC. This will greatly shorten the distance between two neighbors, save business costs, and release resources for development in connection with the external world. Second, regional interconnection will be further strengthened. China has expressed its willingness to work together with other countries along the border, including Uzbekistan, to promote the stable and sustainable operation of the China-Arab freight train, support a feasibility study for the “five-nation railways” project connecting China, Kyrgyzstan, Tajikistan, Afghanistan and Iran to advance steadily, and actively promote the construction of China-Arab cross-border fiber optic cable construction and other projects. Afghanistan has huge untapped mineral resources. The cross-border railway line will resolve the problem of land-lock handicap to export. Third, standards of living in Afghanistan are expected to improve significantly. The extension of the China-Pakistan economic corridor will create hundreds of thousands of jobs for Afghanistan and Pakistan. Exports of traditional Afghan goods, including carpets, dry fresh fruit, wool, and cotton, will get a major boost. The incomes of ordinary Afghan people will increase as well. In addition, poverty reduction and livelihood projects including the construction of electricity, public transportation systems, urban water supply and sewage treatment systems will become key areas of cooperation to bring more benefits to the Afghan people. The fourth goal is to promote regional security and stability. The extension of the China-Pakistan Economic Corridor to Afghanistan will accelerate the integration of Afghanistan into the Belt and Road initiative, improve the life of the Pashtun people on the Afghan-Palestinian borders, and increase the common interests between Afghanistan and Pakistan. This will help to reduce extremism and regional conflicts. It will also help promote the security and stability of China’s western frontier regions. The extension of CPEC to Afghanistan is also facing severe challenges. The terrorist forces in Afghanistan and Pakistan are linked. The country’s suicide bombings in 2017 increased by 50% from the previous year, and the number of factional conflict incidents tripled. Moreover, Afghanistan’s business environment is very poor. In addition to serious corruption, local warlords maintain an army and defy orders from the central government. Therefore, the prerequisite for corridor extension must be safety first. Yang Shengyun, is the researcher of Huanqiu ThinkTank. The article represents the author’s personal opinion which does not represent the China Focus’ stance.